SESVanderHave is an unique sugar beet seed company, committed to making sugar beet growing and sugar production a healthy business. Through responsive research, teamwork and partnerships, they are able to offer reliable seed solutions for the sugar beet industry and growers. Farmers in more than fifty countries from Russia to America grow their seeds. Referring to differences in climate, soil and diseases this geographical distribution affects the varieties of the sugar beets. In the newly build innovation centre (SVIC), SESVanderHave can analyse all these factors in their finest details and simultaneously offer a custom-made solution. This renders a more homogeneous growth of the young plants as they are not ‘disturbed’ by the vagaries of the weather. All the new technologies applied in the innovation centre enable an even quicker study of even more young plants: now they can develop new varieties almost twice as quickly, which makes a huge difference! CODEMA WEVAB is proud to have taken part in this prestigious project amongst the other suppliers. 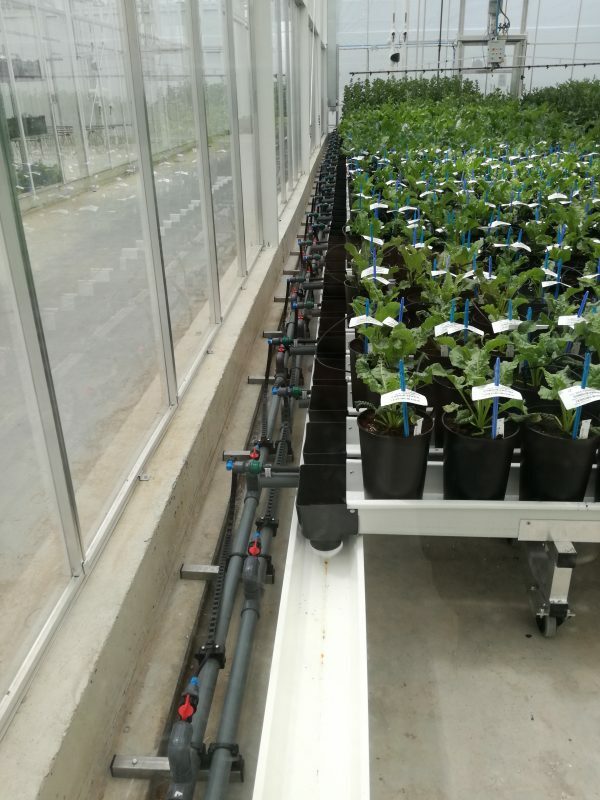 In order to support all different ways of irrigation and growing techniques within the innovation centre, we have supplied SESVanderHave with a custom made mobile gutter system and multiple cultivation benches. All in several sizes for all separate research cells, completed with ebb&flow or open mesh bottoms. The size of the SVIC equals four football fields, it has 13,000 m2 of glasshouses and nearly 2000 m2 of laboratories. It offers a new home to various research departments, such as the breeding department and the disease research laboratory. It offers none other than first-class technologies, under which CODEMA cultivation systems.